The assumption that rewards and punishments influence our choices between different courses of action underlies economic, sociological, psychological, and legal thinking about human action. Hence, the notion of a reasoning criminal-one who employs the same sorts of cognitive strategies when contemplating offending as they and the rest of us use when making other decisions-might seem a small contribution to crime control. This conclusion would be mistaken. 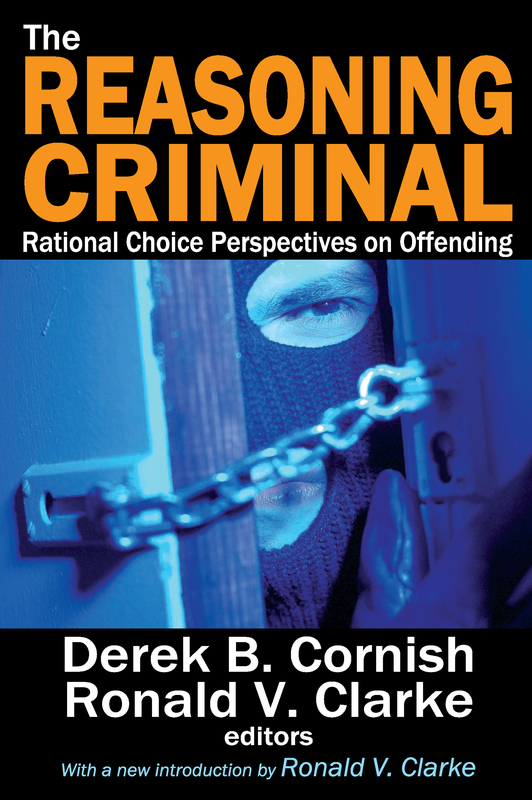 This volume develops an alternative approach, termed the "rational choice perspective," to explain criminal behaviour. Instead of emphasizing the differences between criminals and non-criminals, it stresses some of the similarities. In particular, while the contributors do not deny the existence of irrational and pathological components in crimes, they suggest that the rational aspects of offending should be explored. An international group of researchers in criminology, psychology, and economics provide a comprehensive review of original research on the criminal offender as a reasoning decision maker. While recognizing the crucial influence of situational factors, the rational choice perspective provides a framework within which to incorporate and locate existing theories about crime. In doing so it also provides both a new agenda for research and sheds a fresh light on deterrent and prevention policies. Offense Specialization: Does It Exist?